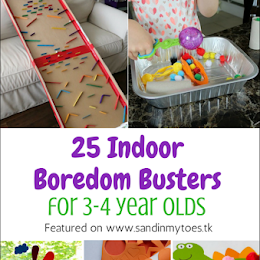 My son loves cars and trucks so much that we find ourselves returning to this theme again and again when making crafts or doing activities. In fact, even our Valentine's card had a truck in it! Using themes and images that your kid likes is a fantastic way to initiate learning and practise basic concepts. 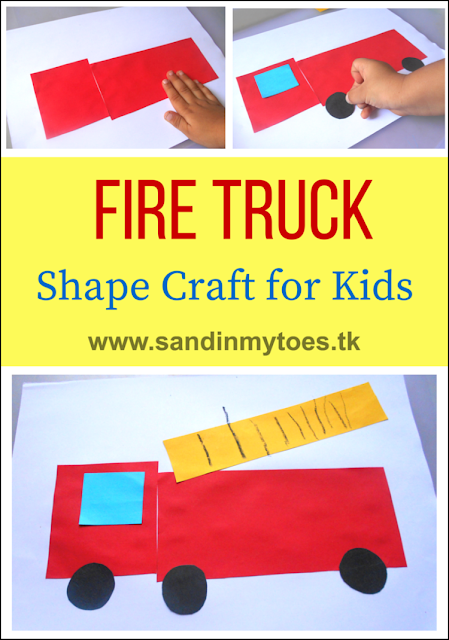 We made a Shape Giraffe a while ago, and used the same shapes technique to make this Fire Truck Shape Craft (or fire engine, as you may call it). For this craft, I cut out a large red square and a rectangle for the body of the truck, a small blue square for the window, and three black circles for the wheels. 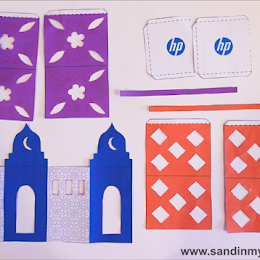 I also cut a long yellow rectangle for the ladder.You can even have your toddler or preschooler cut out the shapes with your help. 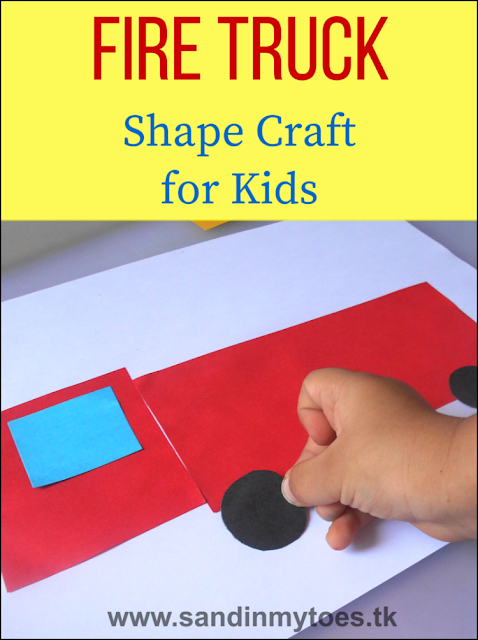 On a white paper, I helped him arrange the shapes into a fire truck and glue them on. He used a black crayon to draw details on the ladder. Older kids can also draw a background and other tools on the truck. 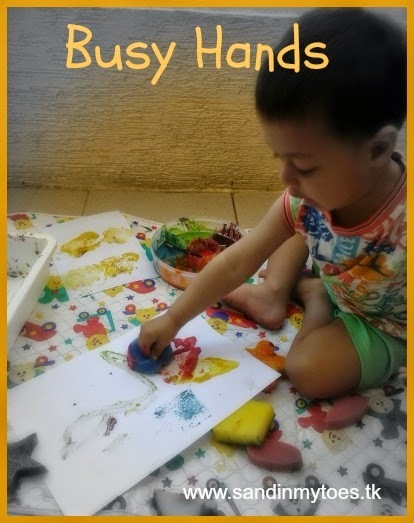 This activity is great for developing hand-eye coordination, recognizing shapes and colours, and fine motor skills.